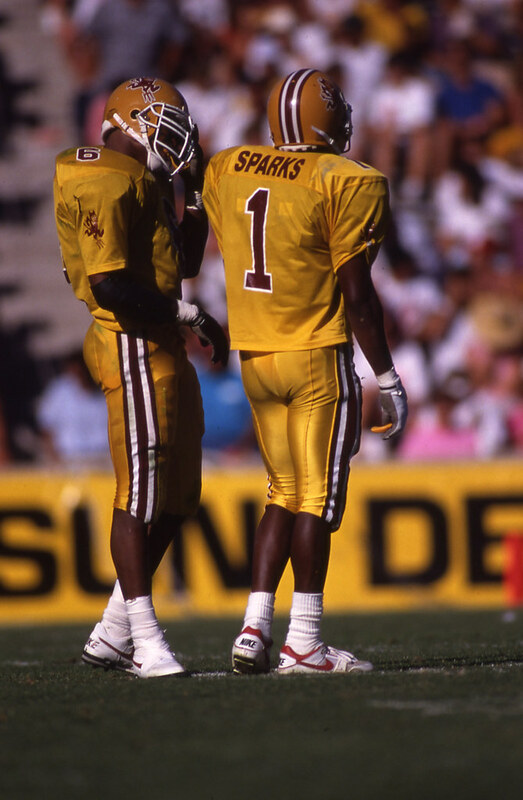 Nothing seems to generate more discussion that suggestions to change the football uniforms. One thing we can all agree on is that the banana uniforms from the Marmie era were awful. 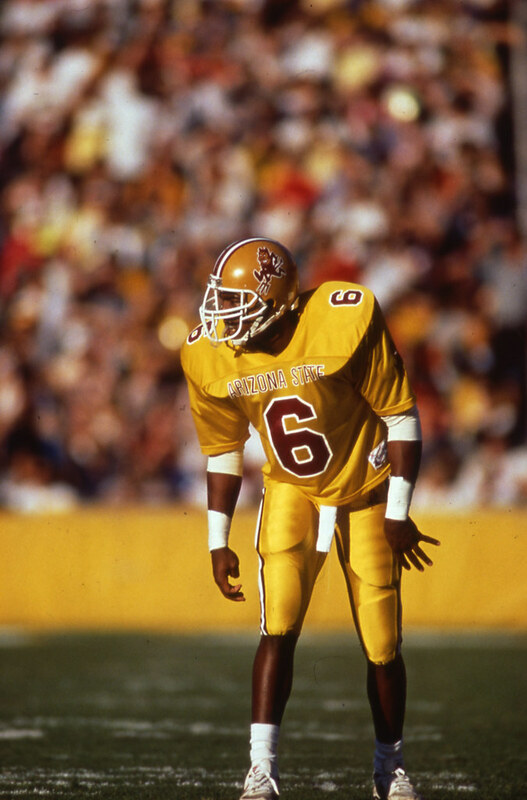 Note that the back of the Woodson card indicates that these uniforms were worn versus USC. They were also used in at least one game versus CGU. If anyone can provide the exact dates when these were worn, please post to the comments. 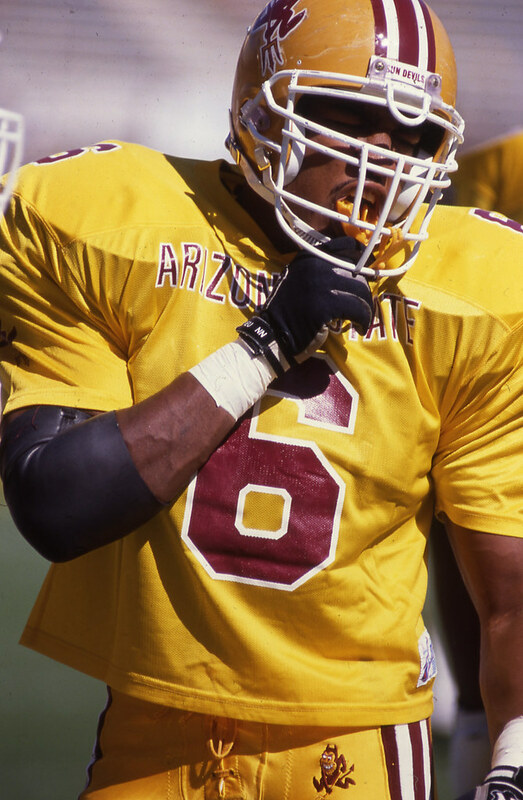 Updated 1/10/08: Today's Uni Watch follows up with some additional pictures provided by the ASU SID here, here (an especially ugly close-up) and here. Also, confirmation of the comment left here yesterday that these monstrosities were used for two games: CGU in 1989 and USC in 1990. Copyright © 1998-2015 Robin Stanton. Contact webmaster@wireddevils.com. This site is not affiliated in any way with Arizona State University.